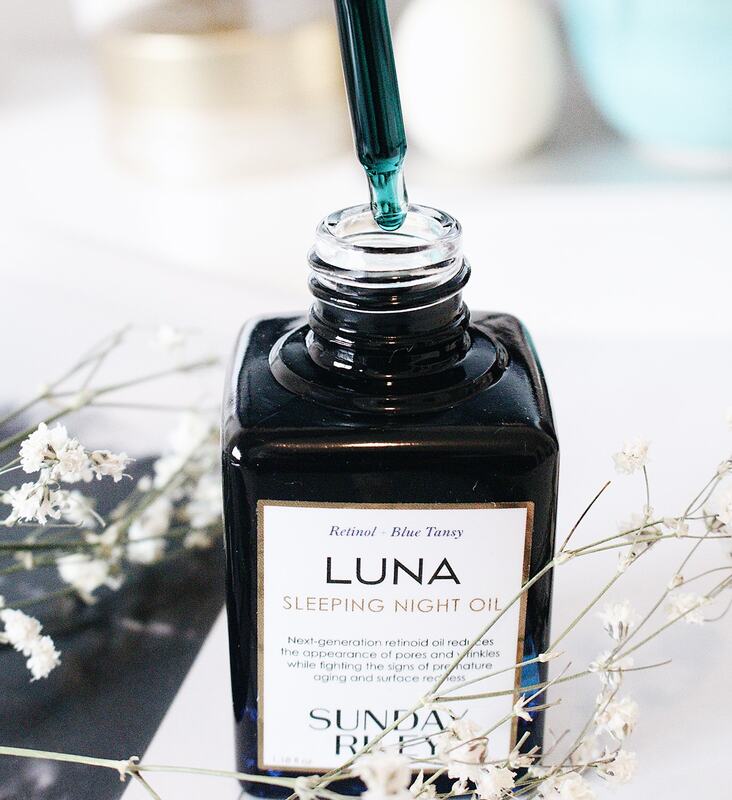 Although the attention has been shifted away from Sunday Riley’s Luna Sleeping Night Oil, there is no reason for it to lose its popularity. This product was the bee’s knees of YouTube videos and blog posts. This took place during a time when Sunday Riley was a brand that everyone was discovering for the first time. I hopped on the Sunday Riley bandwagon at the same time as I’m a sucker for hyped up products. The one thing I can tell you right away is that the hype is completely worth it. When it comes to Sunday Riley, I have both purchased and been gifted products from the brand. The generous gifts did not sway my opinion on the products by any means. If you want to read my thoughts on the last Sunday Riley product I reviewed, you can check the Tidal Brightening Enzyme Water Cream review by clicking here. The one product I had always sat on the sideline for was the Luna Sleeping Night Oil. This retinol and blue tansy facial oil generated an obscene amount of fans, but I just couldn’t take the plunge quite yet. Before I get to my review, let’s take a look at what this oil claims to do for your skin. Adding this retinol oil to your evening skincare routine is a gamechanger. It promotes plumpness in your skin, in both look and feel. Is that it? Of course not. It also improves the appearance of redness, wrinkles, and pores. It targets fine lines, helps promote hydration, and works on correcting uneven texture. The end goal is achieving younger-looking skin. This oil is the most beautiful deep blue colour and I can always recall YouTubers suggesting that you be careful not to stain your pillows with the blue tint. The blue tint turns clear as it absorbs into your skin, so this shouldn’t be too big of an issue. This oil is perfect for the nighttime routine as it works while you sleep. This gives the oil a better chance to help your skin, instead of throughout the day under possible layers of makeup. You wake up and notice the improvements over time of using this product. As I try to always go for in most of my products, this oil is without parabens, sulfates, and phthalates and is cruelty-free. Before I get into the Luna oil, I’ll state that I have been using another Sunday Riley oil for a while. Before introducing the Luna oil to my collection, the U.F.O Ultra Clarifying Face Oil is a favourite of mine. I went in with high expectations. People have mentioned that Luna has a very potent smell, offputting to certain people. No drastic smell in my opinion. I recognized the possible scent of blue tansy, as I have smelt something similar in another blue tansy-based product before. A lot of people are scared to make the purchase due to the price point, but there is usually a smaller deluxe kit with two products in one that is a great deal! I use Luna after I cleanse and tone my face. On occasion, I use the Good Genes Lactic Acid Treatment as well. I will apply the Luna Sleeping Night Oil before the treatment and give it time to absorb properly. Over the course of using it for about half a month now, I can start to see some improvements in my skin’s hydration levels. I do categorize myself as having “oily skin”, but I have noticed some drier patches in some areas. I will now say that my combination skin is looking a little more even in moisture levels over the past couple weeks. For skin care products, you need to give about a month to see more dramatic results, but I will say that I do notice slight changes here and there. Redness will always be an issue for me, but my skin is slightly less red. My skin turned red with basically any product upon application, but once settled I am seeing less redness. I am using this product in combination with other products that are working to correct uneven texture and while I do not to use this every day, I can definitely tell that this is helping. I didn’t want to overuse retinol too much while still introducing it to my skin. To avoid too much at once, I currently use it every 2-3 nights. I can’t wait to continue using this and seeing results from it. It’s a great addition to your routine to help with some of the most common skin issues people complain about. 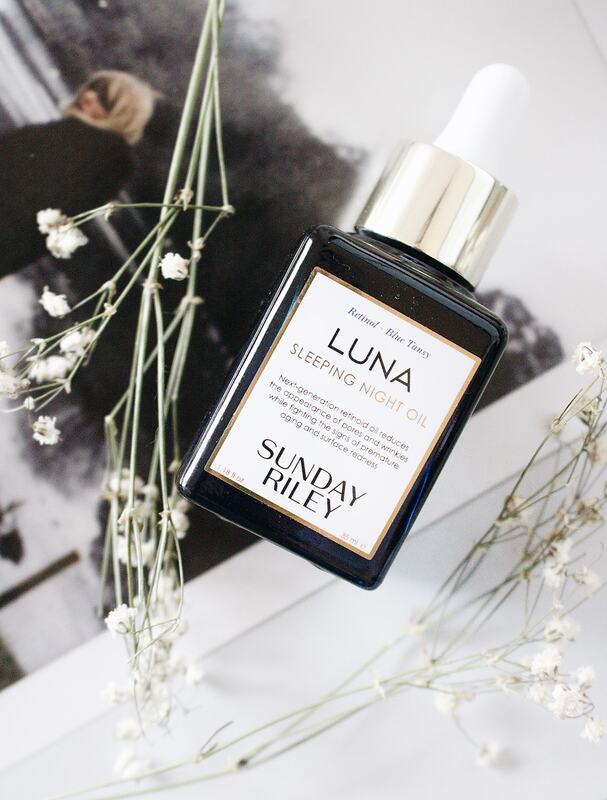 Sunday Riley’s products have always impressed me and the Luna Sleeping Night Oil is no different. Have you tried Luna or other Sunday Riley products? Let me know in the comments below. I would love to you your thoughts!